Every German between 22 and 29 should be familiar with the game Blobby Volley. I am not quite sure if it was that big outside of Germany, but you can trust me that this game was really popular a few years ago. In this game two alien gummy bears are playing volleyball against each other. Those alien gummy bears are the so called blobs. That's why the game has been called Blobby Volley. The game itself is an advanced version of the MS-DOS game Arcade Volley, with a similar set of rules. 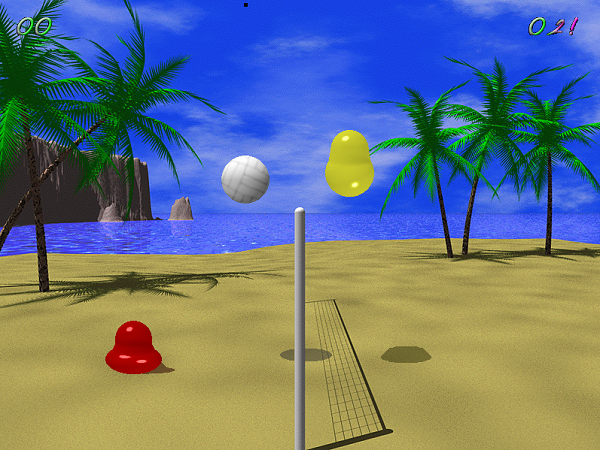 The original Blobby Volley can be found at Sourceforge. Nowadays the game isn't so popular any more. In my opinion one of the reasons is the mostly static gameplay. The game itself is available in a second edition, and this one has also been ported to the web. The available versions, however, are still compatible in the old static feeling. Therefore some kind of fresh air was required to make the game look curly again - if you know what I mean. My version is based on the spin-algorithm a student of mine has written. I would have loved to changed that spin algorithm, but playing the game (the student built) for about two weeks straight, I found out that the (sometimes buggy) spin-algorithm introduces the most fun I ever had in a computer game. The game itself can be a challenge, and here we already had a tournament and determined a "world champion". In this article we will go through the basic code details and the most important algorithms. I will explain the concept of the integration and splitting the game into time slices. I will also try to show a hopefully good solution for a cross-browser keyboard implemention. The code that is presented here will be a first stage code. It is experimental, such that anyone can have a look at it and play with it. In the next stage I will package the game into a nice website, which gives the user the configuration possibilities. The last stage will actually involve hooking up the game with SignalR, such that real time communication and network games are possible. While we will discuss stage 1 here in this article, stage 2 and 3 will either be published in the next article, or will just go live someday. This depends hugely on how much time I can spend on this in the next months, considering the Intel AppUp competition and my workload. Most of those features are already included in the first stage. Currently the computer enemy has just been included for fun. The current implemention makes a move based on a random number without taking any knowledge / computation of the real game into consideration. This will certainly change at some point - but for now we are satisfied with this weak computer enemy. In principle it is really close to volley ball. To be more specific it is probably like what volley ball would be, if it would be just for 1 player per team. Each player can have a max. of 3 consecutive ball contacts. If the ball hits the floor its over. Each player also has those 3 consecutive contacts when serving. Hitting the boundary is and net is allowed as often as possible. Each set is played to 25 points with 2 sets being required for winning a match. Once one player made a point he got the right to serve. All of those rules can be changed. Some of them can be found in the constants.js file, while others must be change within the specified routines. The max. points and max. sets are set in the Game class (more on that one later). This has been done to include an easy possibility for changing the default value (from the HTML application). Winning a set requires a minimum difference of two points between the two players. Therefore no set will ever end with 25-24. Here 26-24 could be the final score, as well as 29-27 or 27-29. It all depends which player will be the first to have a 2 point lead. Let's start off with some HTML. Most of the code below is pretty obvious, like the proper doctype, setting the right character set or including some external style sheet. At the end of the body tag we include all our required scripts in the right order. This is where the magic will come into play. Your browser is too old. Please consider upgrading your browser. Let's have a look at the style sheet to get a feeling for the look of the page. First of all we will note, that the page uses a special font called Merge. Actually this font is not very special (usually we would include all kind of special / weird / cool fonts, because games live from typography as well as graphics in general), but it looks really nice and will give the game an unique look. We also choose an absolute positioning for our elements. The canvas element will be placed right in the middle of the screen, with the div element (that has the ID beach) sitting right above it. We also set some font size and text align statements and adjust the background of our webpage. Since the little helper that has been presented with the Mario5 article fulfills all requirements, we are going to use it again for this game. //The is the constructor of the class "SomeClass"
We will make extensive use of this construct to built everything out of classes. The first branch is rather uninteresting for showing. At the moment just one resource manager has been created - it is responsible for the images. In stage 2 of the project sound effects and music is going to be added - there one or two additional resource managers are required. The second branch looks like the following diagram. Basically every object that does not implement the paint() method (and related properties like width, height etc.) derives from the VirtualObject class. This class provides any inherited class with basic string and number manipulating methods. We will discuss the implemention of the Control class later on. We will also dive into a discussion about the Keyboardy class implemention. Here we see that there are basically three important classes. The first one is the ViewPort. This one bundles all drawing objects and calls their paint() methods. 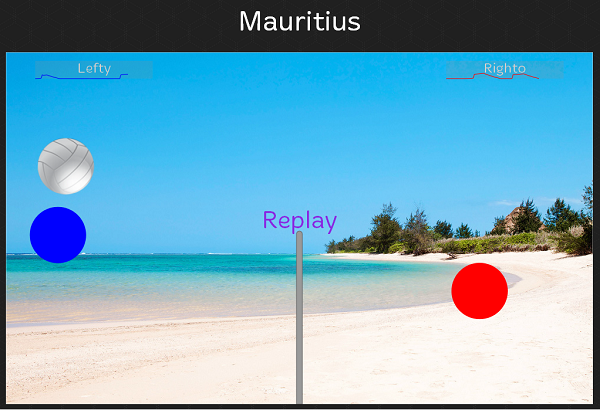 There is also a special derivative of it called ReplayViewPort, which is used for displaying replays. The next sub-branch is the Figure class. A Figure is any object, that can be moved in the game (either by interaction with another figure, or by controlling it with the keyboard). Currently (and probably forever), there are three types of figures: A Player, the Ball and the Net. 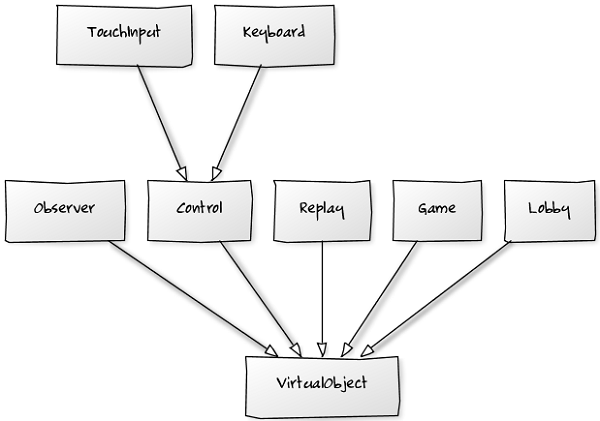 A Player is always controlled by an instance of the Control type. Therefore two other derivatives of Player have been created. Those two classes are controlled by AI / already made inputs. The last sub-brnach is the Field. Here we either have the real, BigField, which is basically the full ViewPort, and just a portion of it; a SubField. A Field has the responsibility of checking boundary conditions with its children. 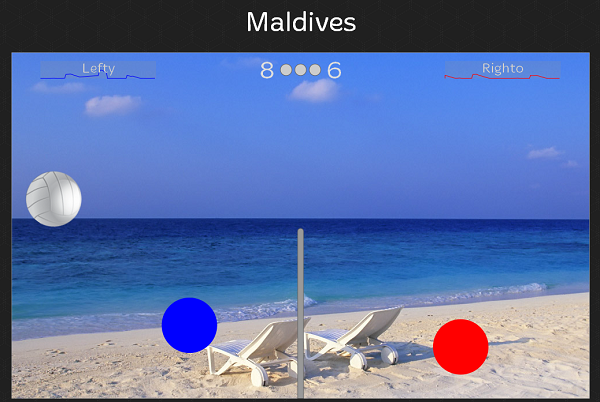 A Player instance would be in a SubField instance, while the Ball is always located in a BigField. So basically everything is dependend on this instance. The players and observers are exceptions here, they are not created directly by the game, but just added. In theory there could be a number of players - but right now we are just sticking to 2. In stage 3 it could be possible that special 2 vs 2 and / or 2 vs 1 modes will be included. 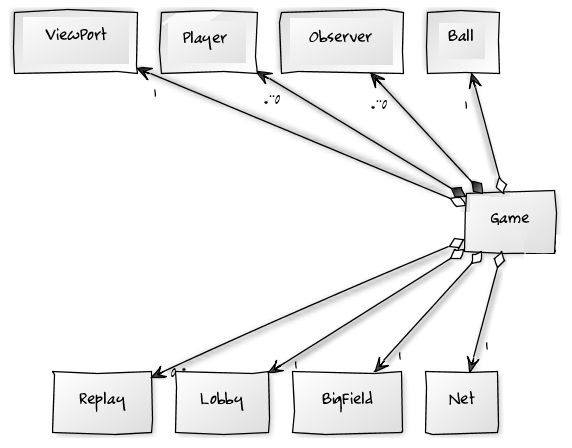 A Game object has many methods. The two most important ones are called play() and pause(). The first one starts the infinite game-loop and binds the specific control event handlers, while the second one stops the game-loop and unbinds the event handlers. However, those two functions would not do anything visible at all, if we would not specify what the infinite game loop should do. In our case we call the tick() function in every call. This function first looks if the logic should be paused for some frames. This is the case after a player made a point. To not start directly (and maybe do something unexpected for the player), the logic should wait a fraction of a second. The second thing that is being executed by this function is the update of any players control. Therefore we tell all instances of Player, located in the players array, to invoke the steer() function. After those mandatory updates we are also updating the data for the current replay recording. Then (finally!) we are performing our logic steps. Those steps are being executed over and over again. Therefore we are performing an infinitesimal integration. We are doing this to prevent problems with the ball not hitting the player (if the speed is bigger than a player). Here we are just cleaning the current scene and drawing a new on it. So first we paint the background, then we paint the field in general, the net and finally the ball and the players. Afterwards we are painting the gauges. Here we first start with an indicator if the ball is too high (above / outside the canvas element). Afterwards we are painting the current score for each player and also the players' pulses. We also have to paint any message like an information about a player winning the set. One of the most important aspects of any computer game is the input. If the programmer makes the input functions sloppy, or if the overall game design does not involve the adequate interactions with the game, the game itself will fail. Providing the right controls with the browser is basically quite easy. Looking much closer at some details we will realize, that a little bit of thought has still to be put into the design and implemention. We are providing all properties and methods for those 3 actions. Our overall design dictates the following behavior: Any input will be only written to a buffer, which will update the real values only if the update() is called. This method also saves the previous state, so that we can always compare the current values with the former values. Why are we doing this? Well, the update() method will be called in a player's steer() method. This method is called in the beginning of any logic cycle, but not inside the time slice integration. This means: the user is only able to change the direction where his blobby is moving to all 40 ms, while the overall game resolution is much lower and independent of those 40 ms.
Why are we saving the previous input data? Well, for this we can have a look at the copy() method. This one is used only for providing data to the replay. We will discuss the replay later on, but for now we can say that this will save a lot of memory (and probably disk space) and therefore gain performance. The reason for this is, that we can introduce a special notation if the keys did not change. Otherwise we will just provide the current state of the keys. Another method mentioning here is the cancelBubble(). This one is a little helper to stop event propagation in all browsers. This one should make sure that keyboard inputs won't bubble up to the browser and have undefined behavior, such as reloading the page or opening a bookmark or performing a gesture (like going back to the previous page). All of those actions are a threat to a superb game-experience, which is why we have to eliminate them. //The last one is required to cancel bubble event in Opera! Of course we need to implement the bind() and unbind() methods. Usually we would only need to do this with the keydown and keyup event, but a bug (?) in Opera forces us to also bind the keypress event. If we would not do this, the event would still propagate. In the constructor of the Keyboard class we are setting the keys of an object to the passed keycodes. In the end we will just have to see if the currently entered keycode is a key in the object and execute the function - which is the value of the object behind the key with the keycode. The trick with the handleEvent closure variable is required to have the work-around working. Otherwise we would either always stop the propagation or never. This allows us to determine if we should stop it. On the physical side we have to take care of the whole energy business with elastic / inelastic collisions. Once we detect a collision the real trouble starts. Detecting a collision is really easy, since we just have to deal with circles (and our boundaries, but thos can be solved very fast as well!). 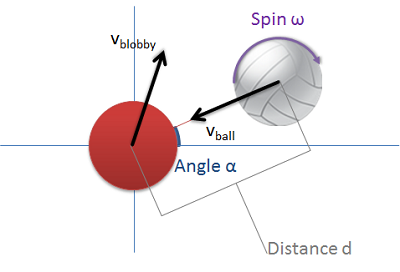 Detecting a collision is just a matter of adding the two x values (the first one is from the blobby; or in general from the object that is detecting if its hitting the ball - the second one is from the ball), squaring them and adding them to the square of the addition of the two y values. This can then be compared with the square of the sum of the two radiuses. If the value is greater than the square of the sum of the two radiuses then we do not detect a collision, otherwise we have found a collision and have to put back the ball on the surface of the target. Now the tricky parts are starting! Let's have a look at all the involved variables in a short sketch. The sketch shows a frame of the game before the actual collision is happening. What we can see is that both (the ball and the target) have some velocity. Here we have some velocity vector, i.e. a part of the total velocity is going in x direction, the remaining part is going in y direction. We also see that the positions beween ball and target have some kind of angle (called a) between each other. If a = 0 in a collision, then we have a purely horizontal collision. If a = ?/2 or 90°, then we have a purely vertical collision. Therefore it is up to you to exclude the spin physics part or improve it. There are some known issues with the spin physics - but for personal reasons I do like the current implementation (maybe one bug that let's the ball climb up the wall has still to be fixed - but it's almost never happening) and it is in my opinion a (no - it's THE) fun part about the game. If we alter the code to be like the following snippet (i.e. removing the changeSpin() function and removing the body of the spin() function), then we have successfully removed the spin physics from the game. We are not actually discussing where any of the last of those three methods is called. Well, we had a look at when the logic() method is called; inside the game loop, which is basically represented by the tick() method of the Game class. The logic() method is changing the current position according to the laws of gravity and the players inputs (which are changing the velocity variables). Also it might be that the player is out of bounds. Therefore we also need to check the logic here, which means calling the checkField() function. Here we are only comparing some variables and deciding if we should reflect some velocity. 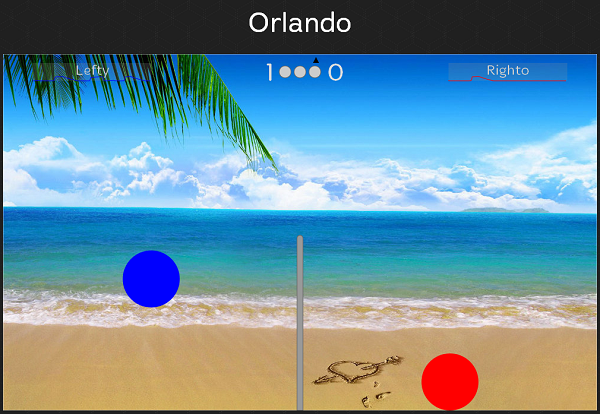 Finally the hit function gets the properties of the current object and the ball and changes the specific properties of the ball. Wouldn't it be nice if we could watch the best rallies over and over again? It's like watching the best goals, best touchdowns or best moves again. Therefore including the possibility for recording and playing replays is a must. Where are the players in the beginning? What was the current score? What was each player's current pulse? What were the names of the player? What were the colors of the players? Yeah, ok. In this file I got 4487 characters with those 442 contacts. So if we extrapolate and take the ratio, we'll see that the changes resulted in a file that contains only 1/7 to 1/8 of the original data. I also added a new property called contacts (to determine if its worth an instant replay). What else has been changed? Here we are abusing that objects (even if empty) evaluate to true, while 0 evaluates to false. The magic behind returning zero or not is already implemented in our Control class. Let's look now at the specific class that represents a Replay. 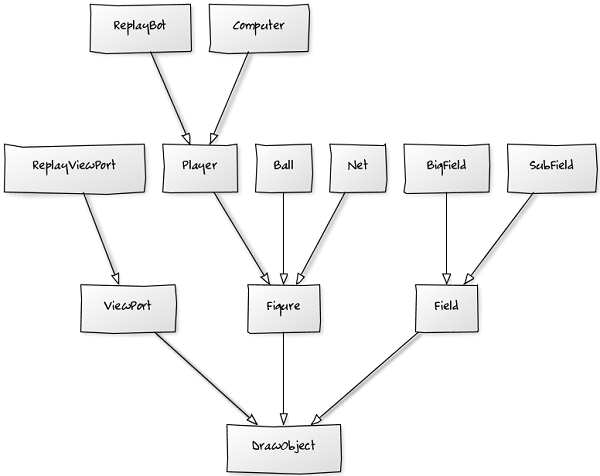 The addData() method will be called from the Game instance with an array that contains all players. Then the current data from each player will be taken and a temporary array with those data points will be built. This array is then added with the exclusion of unchanged arrays, if no data has been added already. This excludes all actions before any of the player starts moving in the beginning of a new rally. This prevents saving data, which has no meaning. The play() method starts the playing of the replay. Therefore it uses another ViewPort. It must perform its own painting, since the game loop (and therefore the painting) is paused, while watching a replay. An important part is the fact that the loop here could be also a recursive timer. This would allow the speed of the replay to be adjusted. Right now the speed of the replay is set to LOGIC_STEP / 2, i.e. double the speed of the real game. This value does not make any difference in the physics, since the real game evaluation is performed in the integration of the TIME_SLICES. The logic itself looks quite similar to the game. Basically it's the same as the usual ViewPort, but it does not paint scores and it has no setup() routine. Also it has a different constructor, which creates a new object that contains all the replay bots, the field, net and ball (all those things have been changed to something that is just used for the replay). This object is then passed to the base class's constructor. If we would use TypeScript, and we would (what we should) tell the constructor of the ViewPort to only accept game instances, then we would get a compiler error here. But luckily we are still in dynamic wonderland and this pseudo game helps us. This is the final version - we just included the text Replay, such that everyone will realize instantly: HEY! THIS IS A REPLAY! One could also think of other things to be included; like a darkish color overlay or some funny comic graphics. But for the moment this is alright! I am also not displaying the score (as mentioned above) - but they are saved in the replay file, i.e. the score could be used somewhere else. The arguments have to be given in the following order: up, left, down. Therefore the default setting here is that the left player has a A-W-D keyboard (left-up-right), while the right player uses the arrow keys ?-?-? (left-up-right). Therefore the game.js file is probably the most interesting one. I can only recommend playing around with some of the constants. It will result pretty funny effects! As I wrote this is "just" stage 1 of a three stage development process. However, I do hope that you do like the result. I already enjoyed the competition in a local multiplayer against some of my colleagues. With the (buggy, or let's say weird) spin physics, the pulse and the instant replay we had a lot of fun. It even happened once that the replay displayed a different outcome than the real game. That made me thinking: why? However, it was still a lot of fun, since my opponent was just laughing so much and kept talking about a "video proof". This video evidence thing was just hilarious! A final version of the game will feature a multiplayer with similar capabilities as the SpaceShoot game had (Basic concept, Final implemention). However, it will most likely be written by using SignalR, since this also uses long-polling AJAX requests to handle old webbrowsers, or those with disabled websockets. In the final version you can save the best replays locally, i.e. in the localStorage or per download. You can then either watch them with some guys online or alone. A chat lobby with a world wide gaming system and a ranking will be included. The only remaining question is: Who will be the world champion? If you want to give it a try online, then just go to my homepage. There you can play around with the same version as the source code package download above. Created 10/14/2012 12:11:38 PM .